What does Ecclesiastes 3:11 actually say? Ecclesiastes is one of my very favorite books of the Bible. Mainly because of the questions that it makes me ask. It serves as such a fine opportunity to interpret the biblical text honestly and wrestle with how it applies to believers in Christ. And I like to bring it up when I can because in my view, it is consistently misinterpreted. It is made to say things it doesn’t say, and it isn’t heard for what it actually does say. One of the things that it doesn’t say, although it’s commonly taught, is that God has put into every human heart that the knowledge that he exists, based on 3:11. The most obvious indication that this is misled is that it just doesn’t make sense within the entire system of thought provided in the book, much less in the immediate context. Up to 3:11, the Qoheleth (“the Assembler,” “Teacher,” “Preacher,” etc.) 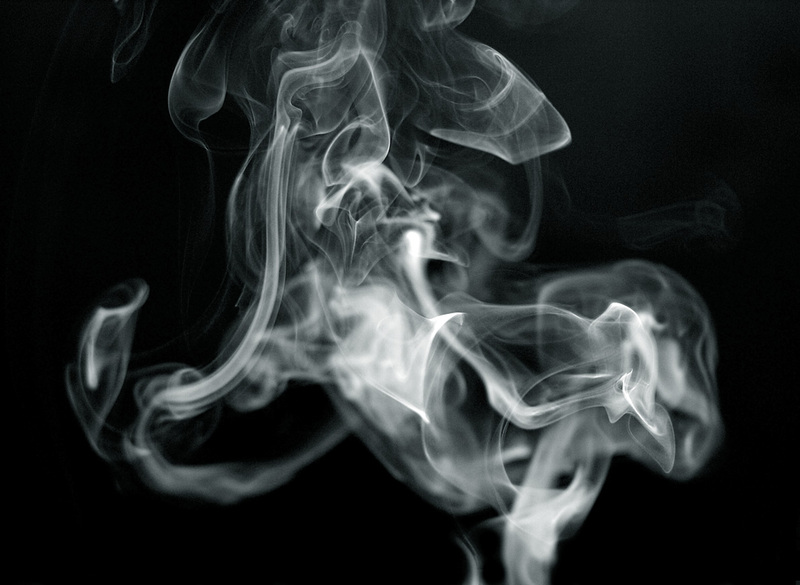 has made the point that pretty much everything in life is hevel, “a chasing after wind.” Hevel is the hallmark term of Ecclesiastes, and it literally refers to a wisp of smoke or effervescence or something of the sort. It points to transience, the idea that something that is there for a moment then gone forever and cannot quite be grasped. Qoheleth uses it repeatedly to say that everything in life, even the things that come from God are somehow empty and fleeting. [Here’s where a side note is needed. Most of the time I hear Ecclesiastes taught, the preacher or teacher puts words in the mouth of Qoheleth because he feels forced to. The author’s vision, when seen for what it is, doesn’t actually line up with what we typically think of as a proper view of God and his world. I just heard on the radio yesterday a local preacher say that he’s not saying that everything is hevel, he’s saying that everything is hevel apart from God. But that is never what the author says and in fact he says the direct opposite (1:13; 2:24-26; 3:10; 5:18-20; 8:15; especially 6:1-2; 12:7-8). Qoheleth is actually very pious and acknowledges God as one that gives everything, who ordains everything, and deserves our reverence. Nonetheless, everything in life is hevel. For the most relevant context for understanding 3:11, one must start at the beginning of the chapter. 3:1-8 is the well-known poem which spells out the different times “for every matter under heaven.” “A time to weep, and time to laugh,” and so on. Olam is often a somewhat ambiguous word, and should not be brought directly into English with “eternal,” which gets associated with the philosophical idea of “everlastingness” which is not what it really refers to. It actually refers to an age, and can therefore denote a long duration, or the idea of past/future time. In other words, nowhere would the context indicate that what this verse is about is the sense of divine existence that God puts into our hearts. It is about God allowing us to have a sense of time but not understanding what God is doing with it. What about the idea itself that God has put into the human heart the idea that he exists? How does this square with the Old Testament? Well, it is an issue that the Old Testament is simply not concerned with. Who is God?, sure. What is he like?, certainly. What’s he up to?, very important question. What makes him angry? What pleases him?, all important biblical issues. But, Is he there?–Not front and center by any means. From Adam and Eve’s fellowship to Israel’s rescue from slavery it was obvious, it was a given, that he was there–most obviously because of what he had done. Aside from that issue, perhaps one of the primary ways people think that 3:11 refers to the idea of God’s existence is they interpret it as a reference the idea of the afterlife, i.e., eternity spent in heaven or hell. God has made us to believe, so it goes, that we instinctively know that we are going to last for eternity. And so we know God exists and we’re going to last forever. But if this is the case, where does it show up in Ecclesiastes? It doesn’t, and in fact, there are texts that run directly against it. Qoheleth barely has anything to say about afterlife, and what he says shows that it’s really not much of an afterlife at all. Arguments from silence are many times ineffective, but this one actually works because of the topics that Qoheleth is covering. The silence which results from his failure to talk about the afterlife is almost deafening. There are several points where he would be expected to refer to the afterlife, if this is one of his big issues, and he doesn’t (e.g., 3:17-21; 4:3). The most explicit references to Qoheleth’s idea of “afterlife” is in of 9:3, they live “and after that they go to the dead (literally, “the ones who have died”)”. What is this state of death all about? He describes it: “the dead know nothing; they have no more reward, and even the memory of them is lost … never again will they have share in all that happens under the sun.” This last part should be taken to mean that they are gone–“under the sun” is the way the author speaks of life. They are gone from life; it shouldn’t be taken as if they are off to heaven. A strong indication that they aren’t simply in heaven is that Qoheleth shows a typical Old Testament understanding of afterlife, when he says, Do what you can now “because there is no work or thought or knowledge or wisdom in Sheol, to which you are going” (9:10). Sheol is not hell (as is often supposed), but not quite heaven either. In the Hebrew understanding it’s a dark place where the dead go where nothing much happens. It is a voidness, a wasteland, the underworld. Nothing more, nothing less. So textually, contextually, and theologically it doesn’t work to have Qoheleth saying in 3:11 that God has put the idea of heaven/hell or God himself into the human heart. I think that can be argued, but it has to be demonstrated through other means. thank you for reading and for your comment, Ben! It does make one wonder what were the intentions of the scholars who expounded upon the latter versions of this scripture. For years, I’ve almost – in a sense – depended on the latter translations of this scripture to express a transcendent ideal about God’s influence on mankind, especially when it comes to mankind attempting to scientifically explain the origin of all time, space, and matter. Perhaps I need more understanding as to what context this scripture is really pointing us to. I like the profundity of your website of this scripture. Best explanation I found for this verse! I found it very interesting to understand 3:11 use of “olam” from Christian and Jewish scholars. One translation I found translates “[wisdom of] the world”, yet I didn’t get it until I read your post.